Trinity Hall is an official residence of Trinity College Dublin, which is available to our students during the month of August. The residence is situated in the quiet residential area of Dartry in Dublin. It is only a short 10-minute LUAS (tram) ride to the city centre. The Hall offers single or twin bedrooms with en-suite bathrooms, in apartments with shared kitchen and living areas. The residence also offers 24-hour laundry facilities, an on-site convenience shop, free WiFi and 24-hour on-site security. This residence is conveniently located a 2-minute walk from our Palmerston Park school, or a short 10-minute LUAS (tram) ride to the city centre and to our newest Emerald centre at Merrion Square. 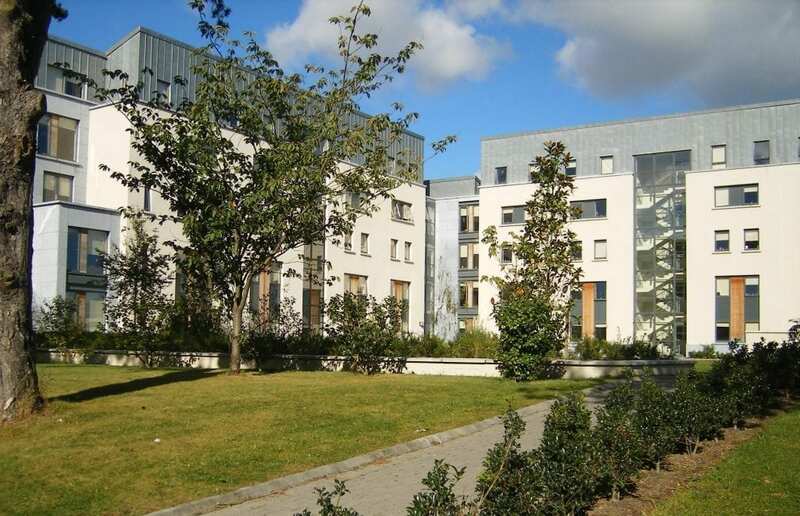 Located on the beautiful Griffith Avenue in Dublin, our Marino College Residence is set amongst 22 acres of landscaped gardens and is available to our students during the month of August. Accommodation consists of single ensuite rooms in a 4-person apartment with shared kitchen and living space. Features include laundry facilities, on-campus restaurant, free WiFi, secure key card apartment access and 24-hour supervision by our Residential Managers and Supervisors.